Tax evasion headlines recently hit newsstands all across China as investigations into the country’s film and television industry deepened. While entertainment executives from around the world were touching down at Pudong Airport for the Shanghai International Film Festival (SIFF), tabloids were pointing fingers at Chinese celebrities for avoiding tax payments. But as we say in this business…the show must go on! The day after these articles were realized, Winston Baker and the Motion Picture Association Asia Pacific joined forces with the Shanghai Jiao Tong University to co-host the “Global Film Industry Value Chain Development Forum”. Luckily, despite the stories of tax evasion, the future of China’s entertainment industry looks strong! 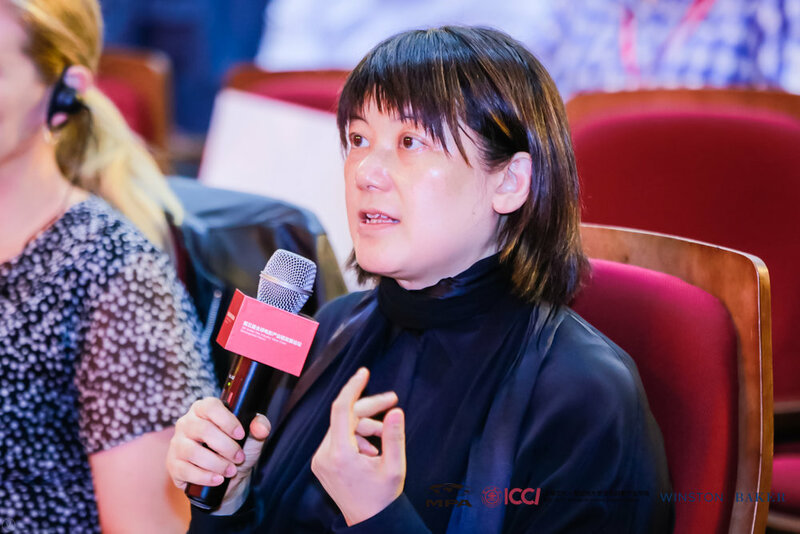 During the event, entertainment executives, top dealmakers and award-winning producers from around the world came together to discuss the future of China’s film market. Conversations focused on strategies for building an industry ecosystem, financing project driven deals, aligning interests with new partners worldwide, and monetizing intellectual property. The event was kicked off by a discussion between Lindsay Conner, Partner and Chair, Media & Entertainment Group, Manatt, Phelps and Phillips; Rong Chen, CEO of Perfect World Pictures; Ulf Israel, President of Production, Senator Films/ Wild Bunch; Wei Jiang, CEO, Legendary East; Zhonglun Ren, Chairman, Shanghai Film Group; and Gillian Zhao, EVP and Managing Director for Warner Bros. China. These seasoned executives, who are already working on globalizing Chinese projects and creating international alliances for the Chinese entertainment industry, gave insight into China’s expanding role in the global film industry. Afterwards, was the discussion on financing and finding new approaches to investing in project driven deals. This panel of finance experts from Akin Gump, Facing East Entertainment, Fosun Pictures Group, CAA China, East West Bank, iQiYi, and Oriental Pearl Group came together to address the changing landscapes of film finance and digital distribution in order to meet the evolving demands of producers and filmmakers around the world. They gave insight into the types of projects that are worth financing and gave the audience a new perspective into emerging strategies for getting deals done. Next came the session on creating a viable ecosystem and building industry standards for China’s Motion Picture Industry. While China offers world class studio facilities and new rebates, more needs to be done across the value chain in order to move the industry forward and create a more efficient domestic ecosystem. To discuss this issue was moderator Lex Kuo of Latham Watkins joined on stage by other entertainment executives from Tencent Pictures, Bona Film Group, Leeding Media, Sony Pictures China, as well as director Sherwood Hu. During the conversation, panelists covered an array of business models including not only strategies that have worked in the past but also new and innovative ideas for the country’s motion picture industry. “I have had such an incredible experience with the crews in China," noted filmmaker Renny Harlin at the forum. 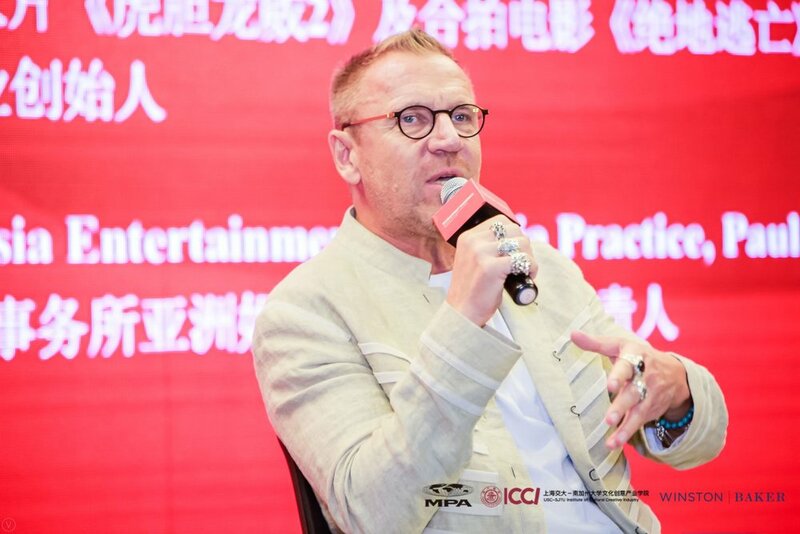 The summit concluded with a keynote conversation between Renny Harlin, Award-Winning Filmmaker and Founder of Extraordinary Entertainment, and Stephen Saltzman, Chair, Asia Entertainment & Media Practice at Paul Hasting, hosted by Film Critic, Raymond Zhou. Over the years, Harlin has directed numerous films for major Hollywood studios including Warner Bros. Twentieth Century Fox, MGM, and more. Currently, Harlin is in post-production on a number of Chinese projects including Wanda Pictures’ thriller Bodies at Rest as well as Alibaba Pictures’ Legend of the Ancient Sword, based on one of China’s most popular action-filled video games. During the keynote discussion, when Renny was asked if he would return to Hollywood and make a film, he responded by saying, “Absolutely, but I would bring my Chinese crew with me.” He added, “I have had such an incredible experience with the crews in China, their work ethic is very impressive and they can be very creative at a moment’s notice. In Hollywood if I had a script change the night before it would cause several meetings to figure out how to adjust to the new scene etc. In China, I have found that I can tell them the morning of and we all discuss it and then find a way to make it work on the spot.” This positive outlook from Renny offers hope and reassurance for China’s Motion Picture Industry and their relationship with Hollywood. Overall, the future looks bright for China and we are excited to see what this dynamic country has in store! Emily Vogel is the Event Production and Marketing Manager for Winston Baker and is also responsible for the company’s research and development efforts. Over the past two years, Ms. Vogel has helped the company organize and host nearly 20 events in 7 different countries, bringing together the most seasoned and successful entertainment executives and industry financiers from around the world. Prior to her work with Winston Baker, Ms. Vogel worked at Exclusive Media, the production company behind such Emmy Award-winning projects as “George Harrison: Living in the Material World” as well as numerous Oscar nominated films including “The Way Back”, “Begin Again”, and “The Ides of March” starring George Clooney and Ryan Gosling. Ms. Vogel was also the Head of the West Coast Division for popular digital brand Betches and spent time in Brussels working for the European Union. Ms. Vogel graduated from the University of Southern California where she earned a Bachelor of Arts degree in International Relations, Global Business and Entrepreneurship and was a member of the Kappa Kappa Gamma sorority. Prior to attending USC, Ms. Vogel lived in China for 8 years and speaks fluent Mandarin. Newer PostWhy do industry heavyweights love Zurich?